Already enthusiastic supporters of the US (and in some cases, British) cross country ski team(s), some of the PACCSA rollerskiers are also rooting for a second or third team at the 2018 Winter Olympics: Mexico! German Madrazo is a Mexican endurance runner. He is co-founder of the Valley Running Company in McAllen, TX, and is a 17-time ironman, a 10-time marathoner, and an ultra-marathoner. Since childhood he has dreamed of competing in the Olympics, and after watching a video of Peruvian Roberto Carcelen in the winter Olympics in Sochi he knew how he could turn dream into reality. German took his first wobbly steps on cross country skis in January 2017. After just 12 1/2 months of dedicated hard work, many long and hot hours of rollerskiing and several ski marathons, coached by Andy Liebner of the US Ski Pole Company, he qualified to represent Mexico in the Olympic Games in Pyeongchang. 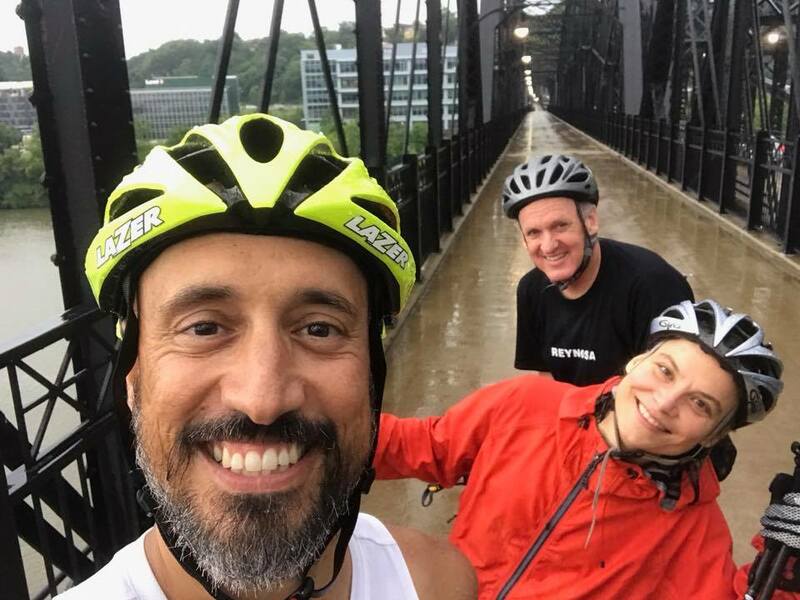 The local connection is that last summer German and Andy spent a week training in the Pittsburgh area, running North Park's trails with ski poles and rollerskiing with a tire in tow, dodging the summer heat of Texas.